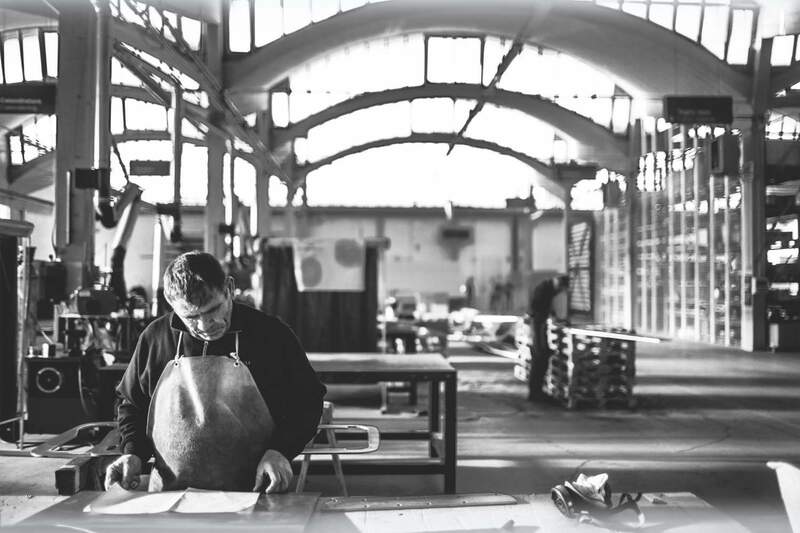 A Metal Projects Factory which evolved, to quote the words of its founder Albino Celato, from «a good manufacturing company that fabricated ideas» to an editor that inspires original ideas and experimentations, promoting «projects in which metal is the protagonist». 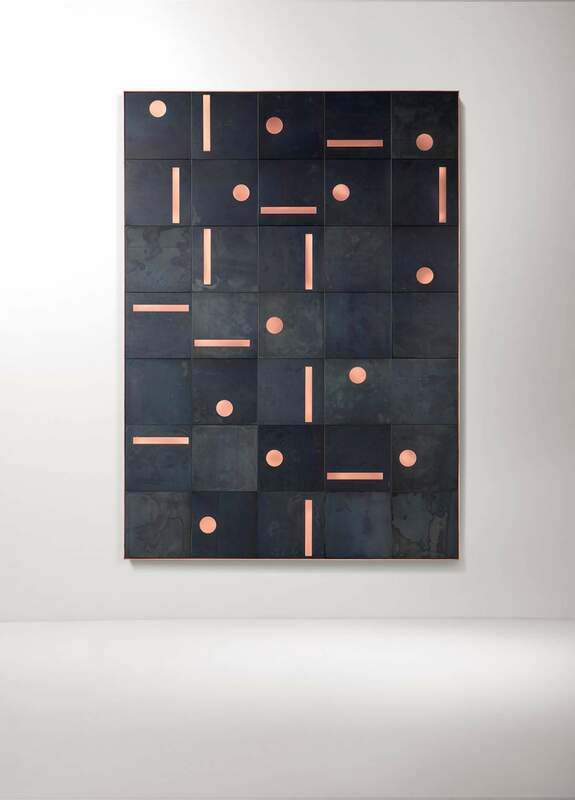 De Castelli has partnered with The Litta Variation/Opus 5 to create Echo, an immersive installation from the Pezo von Ellrichshausen studio. 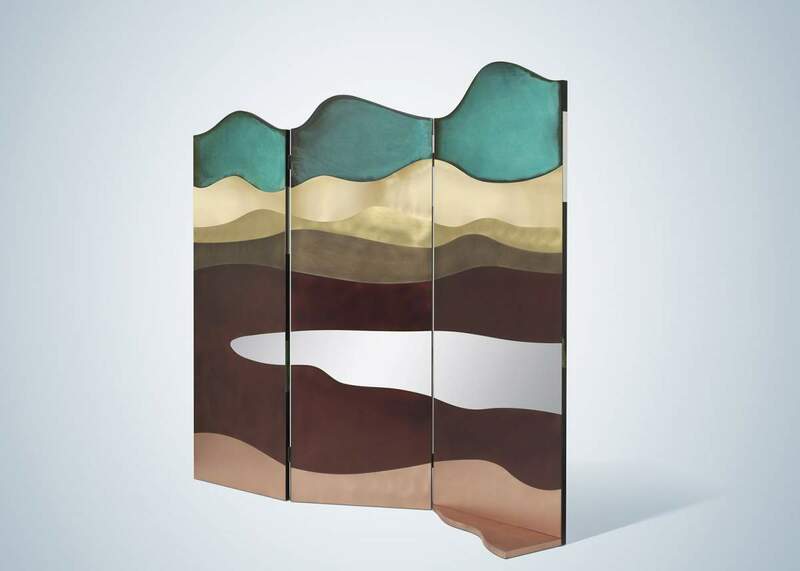 De Castelli has designed the structure and a super-mirror surface that seamlessly covers the entire installation. 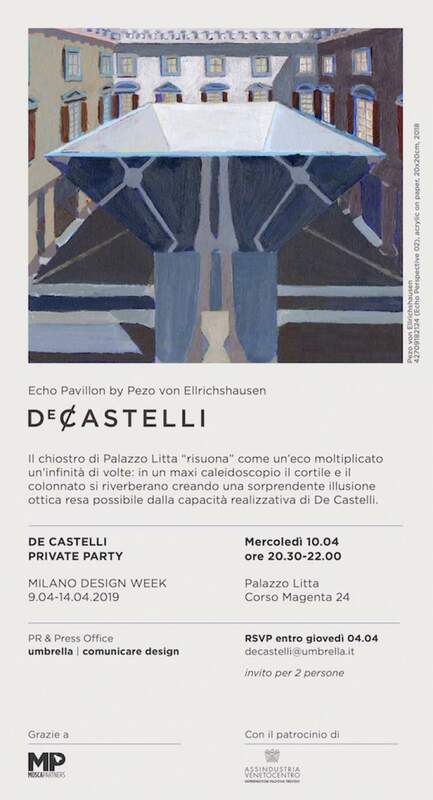 For this occasion, De Castelli will throw a private party into the stunning frame of Palazzo Litta on Wednesday 10 April. 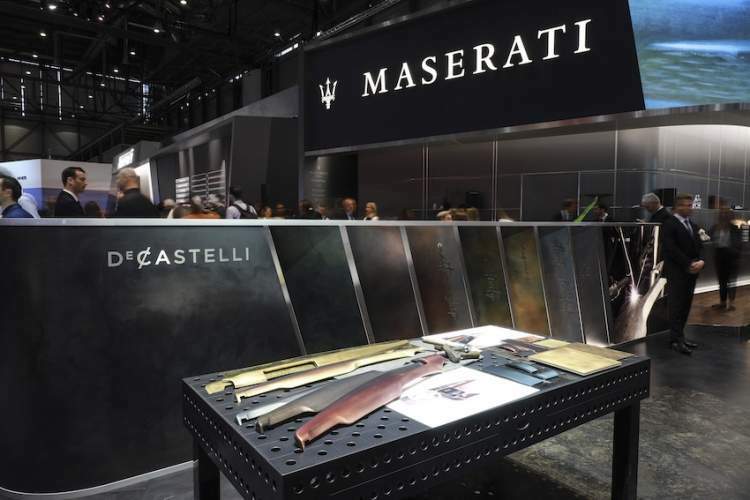 At Geneva Motor Show, De Castelli presents the interior panels for the new Maserati Quattroporte SQ4 Granlusso, created specially for the Casa del Tridente, in order to offer unique and exclusive customization's possibilities to the Maserati top clients. 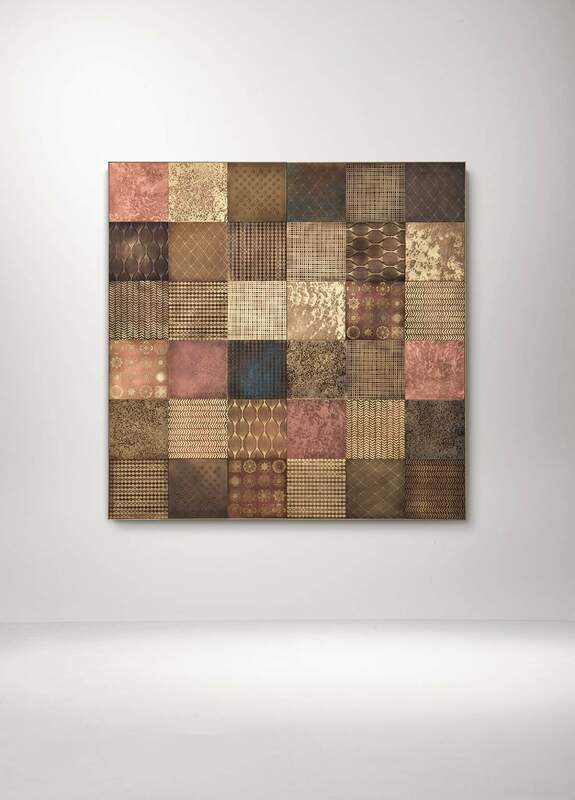 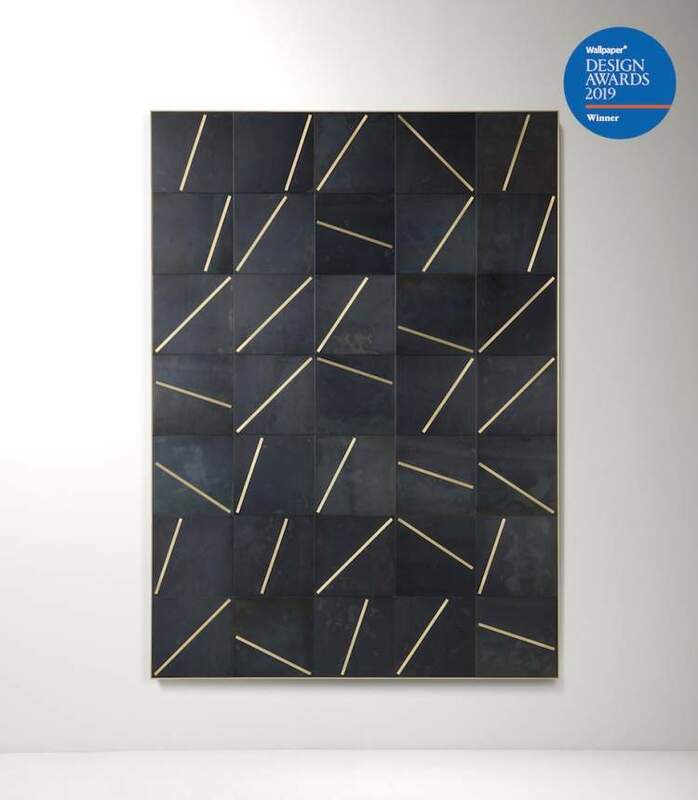 Yoko, the black metal sheet module system with brushed copper or brass inserts designed by Leonardo Sonnoli for De Castelli, has been awarded by Wallpaper, the world’s most important design, fashion and lifestyle magazine. 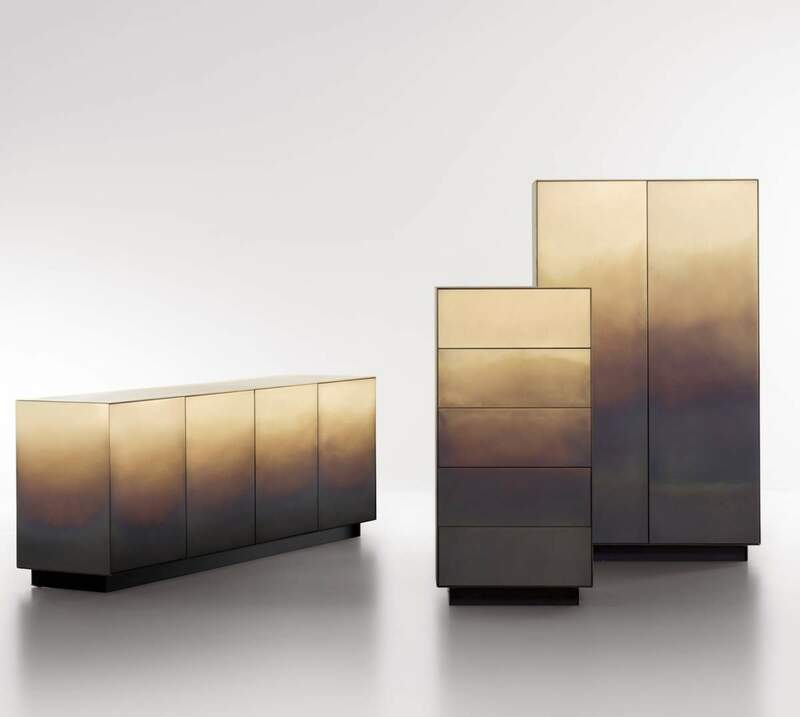 Founded in 2003 by Albino Celato and heir to a long tradition in metal manufacturing, De Castelli is now internationally renowned for introducing design as a new language in a dialogue between crafting expertise and advanced technology. 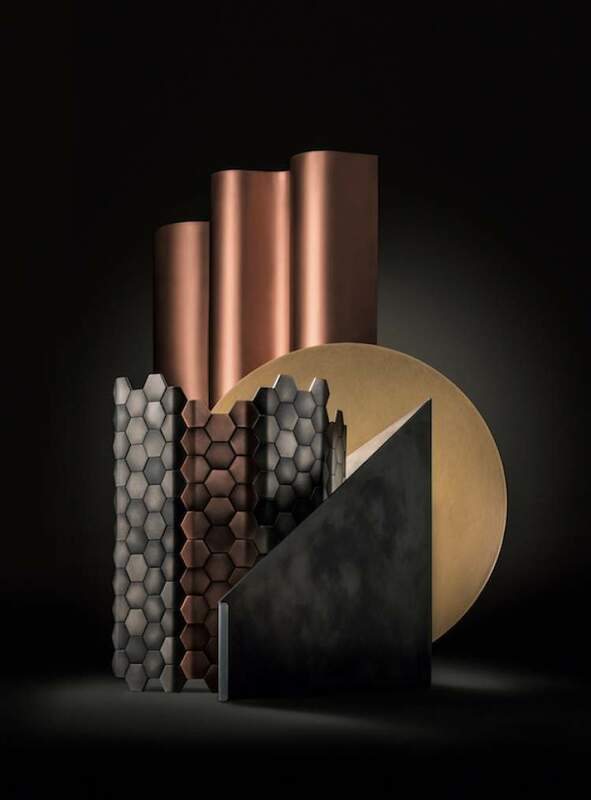 In addition to the furniture developed in collaboration with famous designers which contributed to establishing the brand, the company has developed new surface solutions that enhance the potential of metals, in an on-going effort of research and experimentation with metal finishes. 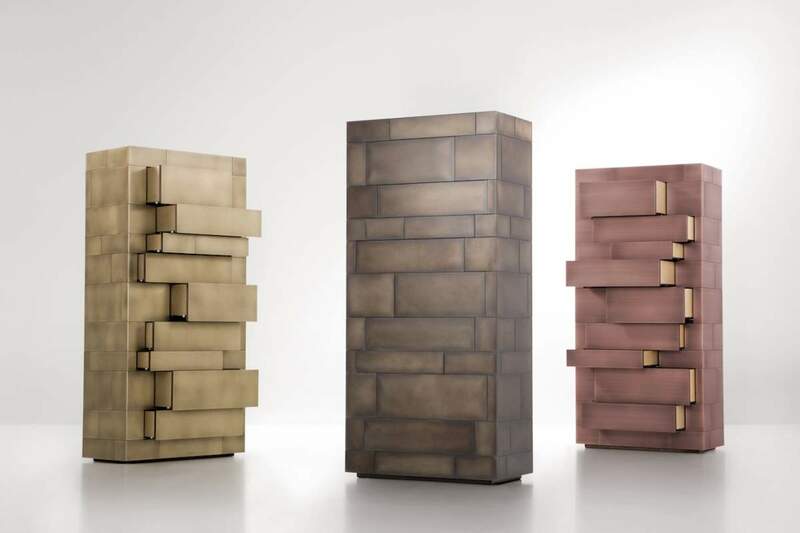 In recent years, the company has increasingly focused on collaborations with international architects, leading to prestigious architectural commissions and special projects for the Architecture Biennale in Venice and Milano Expo. 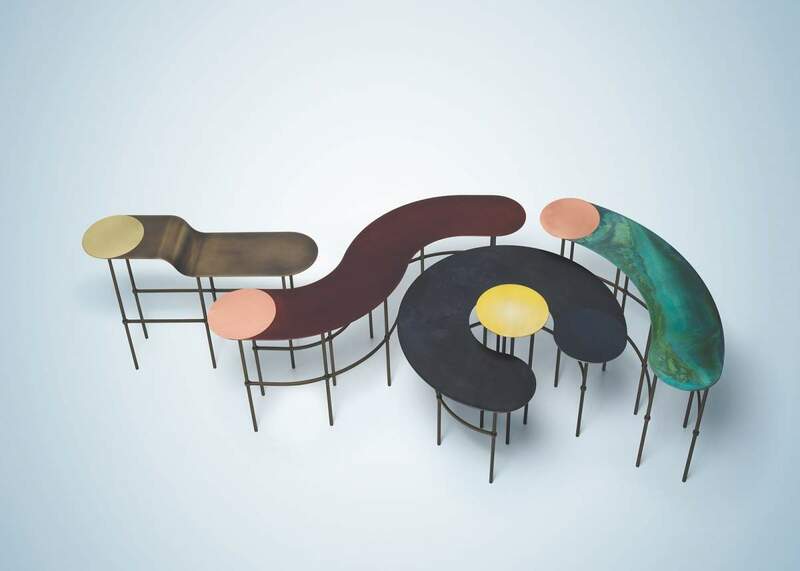 It has furthermore developed partnerships with important companies in the design field. 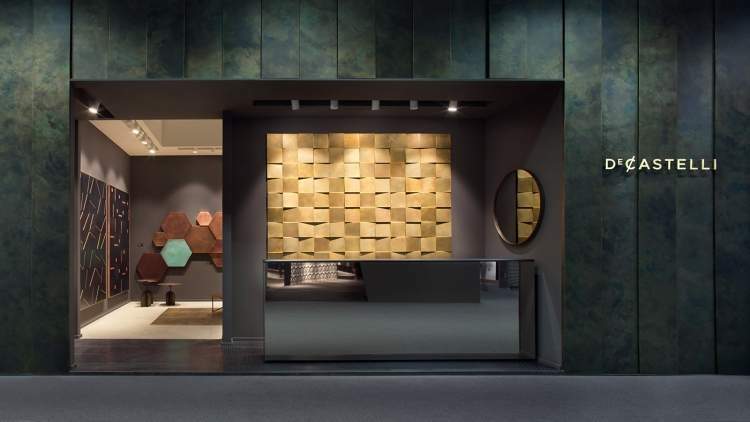 De Castelli’s headquarters, located in Crocetta del Montello (Treviso), host its "workshops" and a rich materials library, a place dedicated to designers to illustrate De Castelli's know-how and inspire ideas and impressions, which may also be found with a complete array of metals and finishes in the Flagship Store in Milan-Corso Monforte.